TRIPLE BERRY CRISP — This delicious baked crisp features fresh summer berries with a spiced oatmeal topping. With a scoop of vanilla ice cream, it’s comfort food in dessert form. We’re nearing the end of berry season here in Colorado, so I wanted to share one last recipe to use those summer berries. 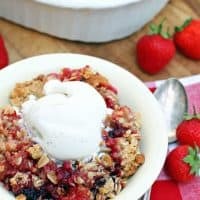 Fresh berries can be pretty delicate, and have a short shelf life, and this Triple Berry Crisp is a great way to use fruit that’s a little past it’s prime. 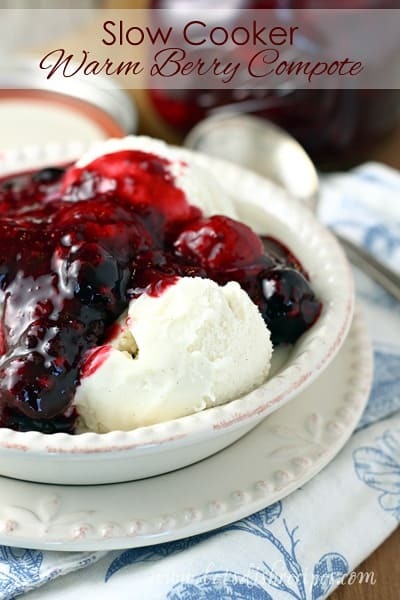 Another great thing about this dessert–you can use other fruit in place of the berries, so it’s versatile enough to be adapted to whatever is in season. We love to serve this warm with a scoop of vanilla ice cream, but whipped cream is delicious too! And it’s perfectly wonderful on it’s own. But I really do love it with ice cream! It does make a big pan (9×13) so if you’re not feeding a crowd, you might want to half the recipe. It’s fun to make in individual baking dishes too! However you bake it up, it’s the perfect crisp for using whatever fresh berries or fruit you have handy. I hope you love it as much as we do. 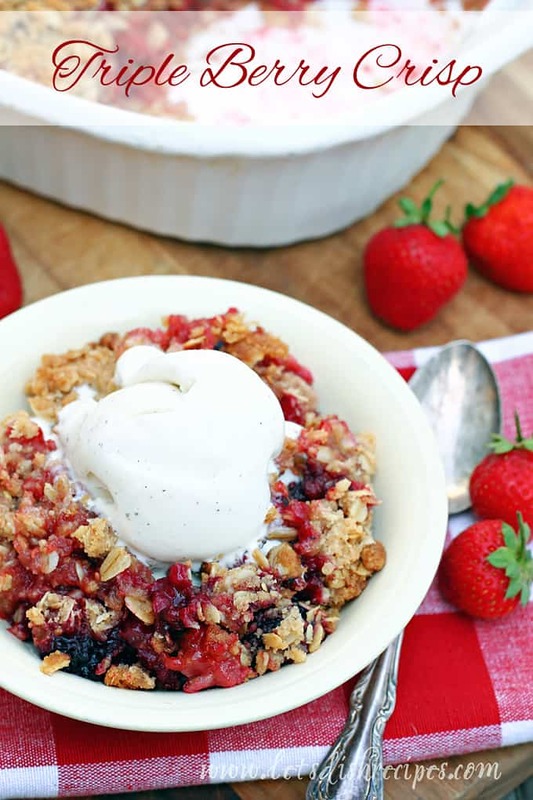 Be sure to save this Triple Berry Crisp recipe to your favorite Pinterest board for later. 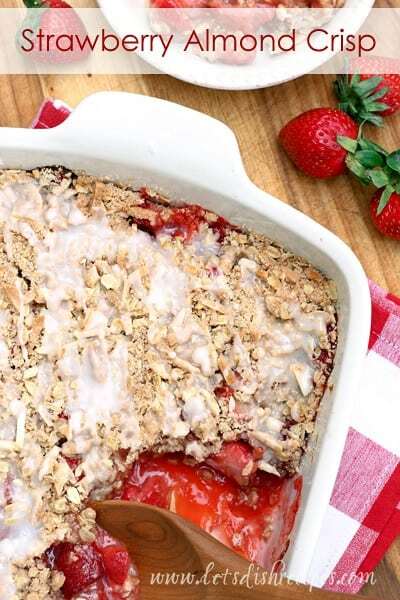 This delicious baked crisp features fresh summer berries with a spiced oatmeal topping. With a scoop of vanilla ice cream, it's comfort food in dessert form. Preheat oven to 350 degrees. Butter a 9x13 inch baking pan. In a large bowl, toss together berries, white sugar, lemon juice and cornstarch. Set aside. In another large bowl, combine flour, oats, brown sugar, salt, cinnamon and nutmeg. Cut in flour with a pastry cutter or your hands until mixture resembles coarse crumbs. Press half of the oat mixture into the bottom of the prepared pan. Spread the berry mixture evenly into the pan. Sprinkle the remaining oat mixture over the berries. Bake for about 40 minutes, or until the fruit is bubbly and the topping is golden brown. Yum! 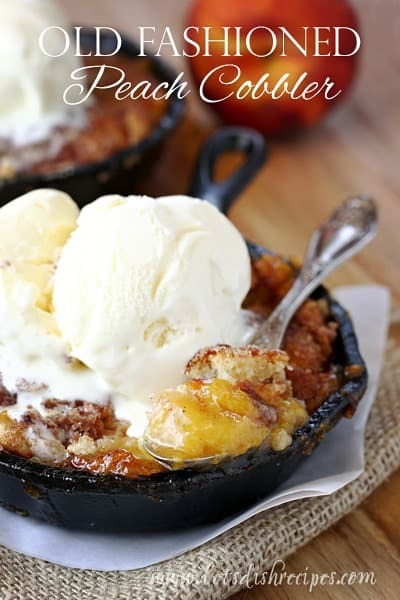 I’m a huge fan of apple crisp but it’s so hard waiting for the first frost to pick the apples off of our trees…I think I’ll whip up this gorgeous version to hold me over! Great recipe. Question about the butter: direction number one is the only section of the recipe that references when to use the butter. Are we to butter the pan with one cup of butter? Or is the butter what we are cutting into the flour and oats mixture in direction #3? It goes in the crumb topping. The recipe had a typo, but it’s fixed now. Thanks!